Better Biomass is the first certification scheme that has made use of the opportunity to apply for an assessment to the sustainability requirements for solid biomass, which have been agreed within the framework of the Dutch Energy Agreement. The Dutch advisory commission on sustainability of biomass for energy applications (ADBE) will assess the scheme. Stakeholders can submit their external input till 11 September 2017. One of the pillars of the Dutch Energy Agreement is the use of bioenergy generated by co-firing of biomass in coal-fired power plants. Societal organizations and energy producing companies have agreed on the conditions concerning sustainable sourcing and traceability of the biomass used. Energy producing companies have to demonstrate that they comply with these conditions by means of certification and/or verification. Certification and verification scheme owners can submit their scheme to ADBE for assessment. Energy producing companies can then use the recognized schemes for all or part of the sustainability and traceability aspects. The procedure of ADBE includes the possibility that stakeholders can provide input on the advisory application. The ADBE is mainly looking for well substantiated facts and experiences about the practical functioning of the submitted scheme. Concerning Better Biomass, stakeholders can provide their input via the website of ADBE (in Dutch) till 11 September 2017. Only external input that meets the conditions that are listed on the website will be considered by ADBE. The revised edition of NTA 8080 has taken into account the developments linked to the Dutch Energy Agreement. The two parts of NTA 8080 describe the sustainability and chain-of-custody requirements for biomass for energy applications and bio-based products. Companies have to comply with the NTA 8080 requirements to qualify for the Better Biomass certificate. The Better Biomass certification scheme includes the assessment method by certification bodies and the criteria for granting a certificate. 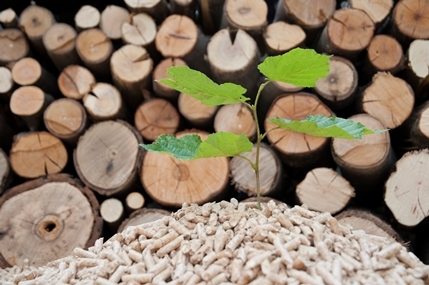 The updated Better Biomass certification scheme was published in April. The web portal www.betterbiomass.com contains more information about the certification system and the related documents. You can contact Jarno Dakhorst via energy@nen.nl or by phone number +31 15 2 690 245 for additional information.